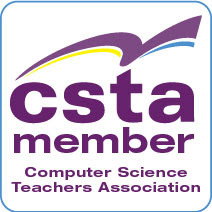 #CSK8 is the Twitter chat community and online discussion that is being run by the CSTA K8 task force. 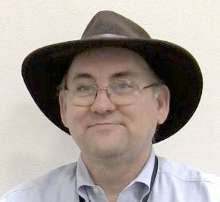 In a short period of time it has built a large community of educators helping each other with ideas and support for teaching computer science in the pre-high school grades. There is a chat taking place tonight (April 22 at 8:00 PM Eastern time BTW) I hope you will join us. This effort and community has been nominated for a Bammy Education Award. What are the Bammy Awards? The Bammy Awards is a cross-discipline honor that identifies and acknowledges the extraordinary work being done across the entire education field every day-- from teachers, principals and superintendents, to school nurses, support staff, advocates, researchers, school custodians, early childhood specialists, education journalists, parents and students. The Bammy Awards were created to help reverse the negative national narrative that dominates the education field. To vote you do need to register and log in. No charge and I have not seen spam from this in the past. Just a few brief updates on the process. Select a category (in this case - Twitter Chat Community ) Find and click on the nominee you want to vote for. The #CSK8 nomination may be on the second page depending on how you sort is set on the page. When you click on the description of the entry you will be taken to a screen with a Vote Now hot link. That will open up a chance to give a rating and write a review to support your vote. Give a high rating (Please!) and write how the CSK8 chat community is a valuable resource for you. We thank you for your support!